A full body strength and endurance class using many stations with short rest periods. 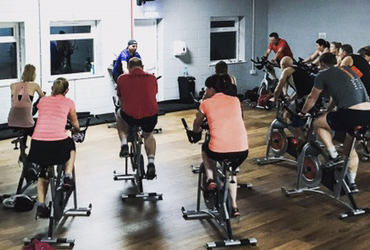 Build your aerobic fitness whilst getting stronger and burning lots of calories. Circuit Training covers all bases and is one of our most popular classes. Postures are practiced to align, strengthen and promote flexibility in the body. Breathing techniques and meditation are also integrated. Yoga is designed to improve general health and well being. A high energy, 45 minute indoor cycling class, led by a motivating instructor, accompanied by a powerful and energizing music playlist. Build your fitness whilst burning a lot of calories. Come and give it a try! Yogalates is a mixture of Yoga and Pilates. 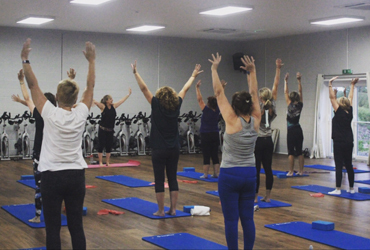 Develop your core strength and stabilisation through pilates poses whilst improving flexibility, muscular strength, posture and alignment through yoga poses, breathing and relaxation. Learn new mixed martial arts skills to improve fitness and self confidence. Our experienced instructor will show you self defence techniques. The class includes pad work, non contact technique drills and bodyweight exercises. Please Download Our Weekly Classes Timetable. Join Sandbach Health & Fitness Today & Let Us Help You Achieve Your Goal. 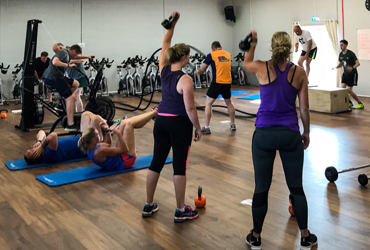 Have questions about how Sandbach Health & Fitness can help you with your fitness goals, please call us on 01270 749354 or send us a message using the form below and we’ll get one of our expert fitness trainers to contact you.